Even today, whenever I visit home for the weekend we’ll go on a day trip. During my visit last month it was no different. 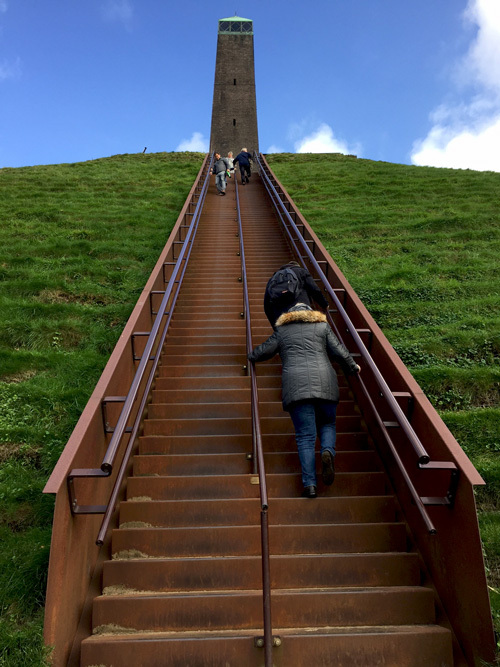 After considering a few places, we decided to head to the province of Utrecht and visit the Pyramid of Austerlitz. 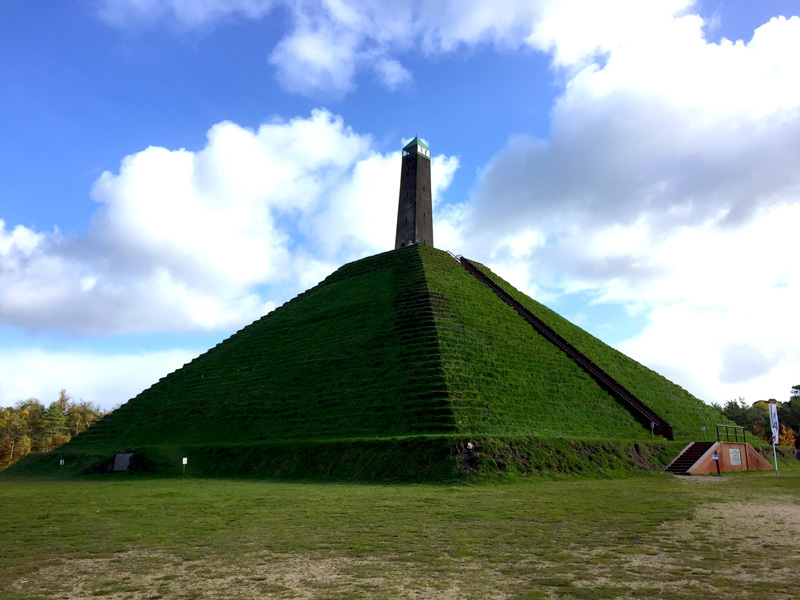 The pyramid is located in Utrechtse Heuvelrug (Utrecht Hill Ridge) National Park, named after a range of sand hills that cover parts of the province of Utrecht. It’s the perfect oasis for a quiet day out, on the footsteps of the largest cities of the country. Mum and I visited the National Park once before. Read more on our visit here. This time we made a stop at the pyramid that was built by soldiers of Napoleon in 1804. 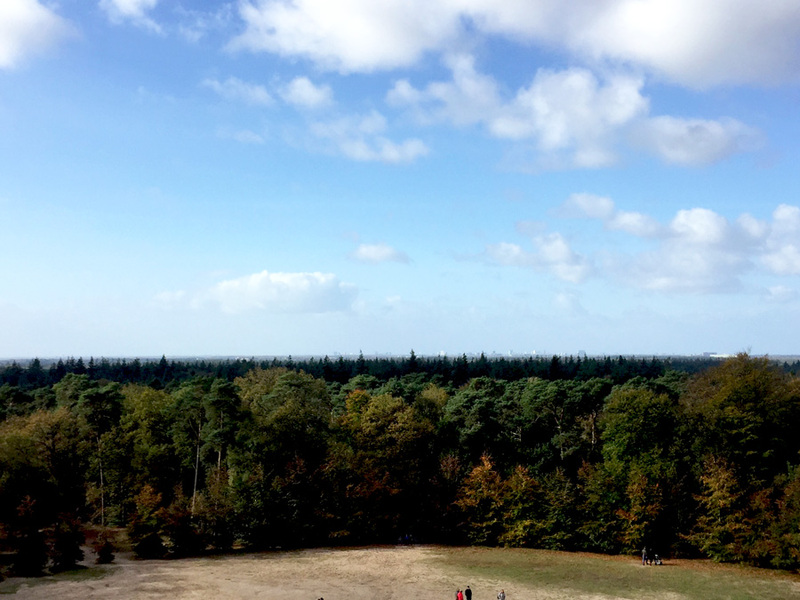 It’s built on the highest point of the National Park and provides a fantastic view over the woodlands, and cities like Rotterdam, the Hague and Amsterdam in the distance. It was when I was standing on the viewing platform that I once again realised how small our country is! After our short visit to Utrechtse Heuvelrug, we decided to find a place for lunch. It was 1:00pm by that time, and we started to get quite hungry. 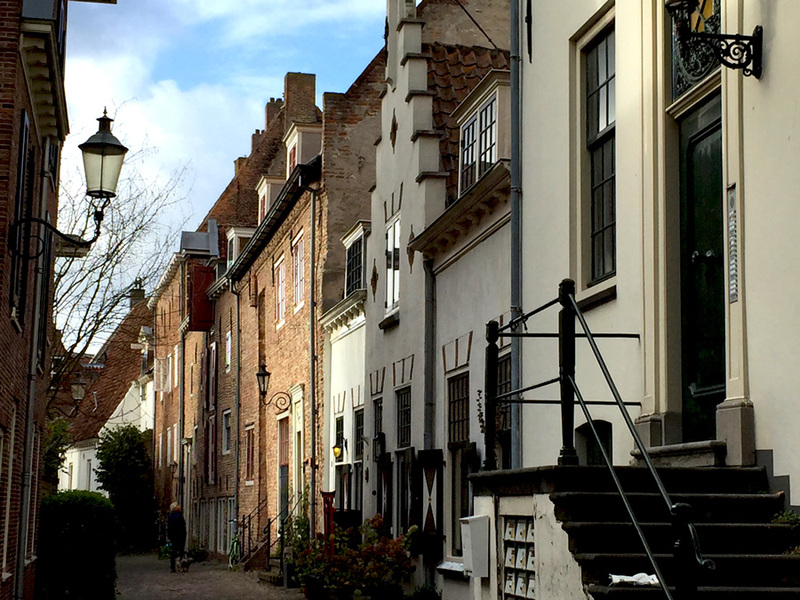 Since Amersfoort was only a ten-minute drive from the pyramid, that became our next stop. We used to have friends living in the town, but I hadn’t visited anymore since they moved to the UK some years ago. Therefore, my memories of the medieval city were pretty vague. All the more reason to pay it another visit. 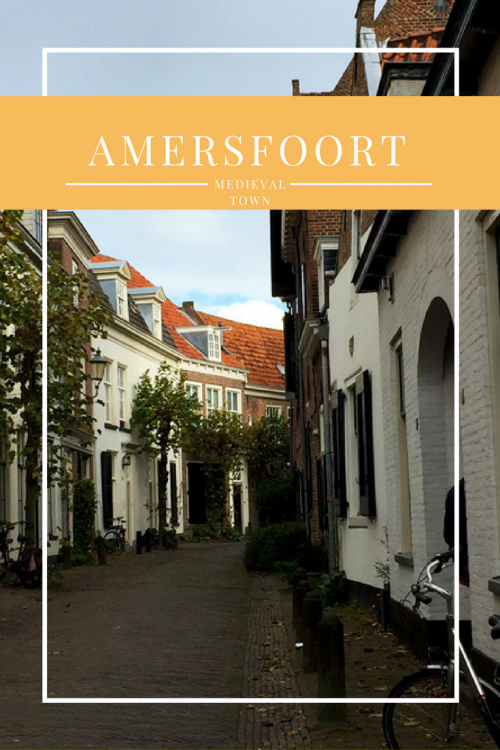 Amersfoort is located only 35 min from Amsterdam by train, which makes it a perfect day trip from the capital. Rather want to stay for a bit longer? 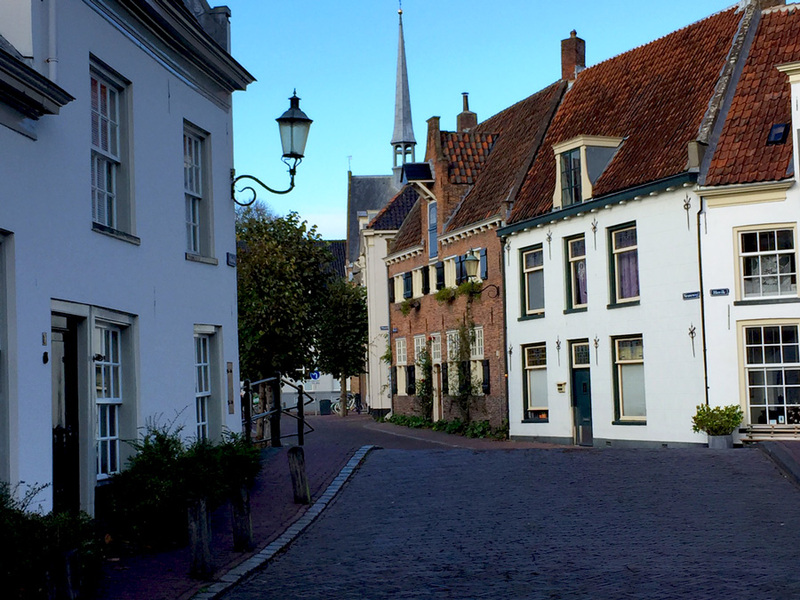 Not to worry, because there are plenty of hotels in Amersfoort. 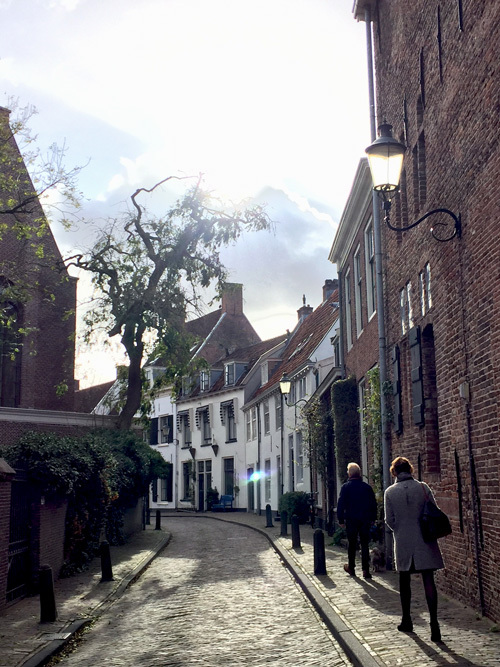 The beauty of the town is that it’s located in a gorgeous natural environment, but has that bustling feel to it with all its shops, restaurants and bars. However, it’s the medieval aspects that draws most visitors to its city centre. 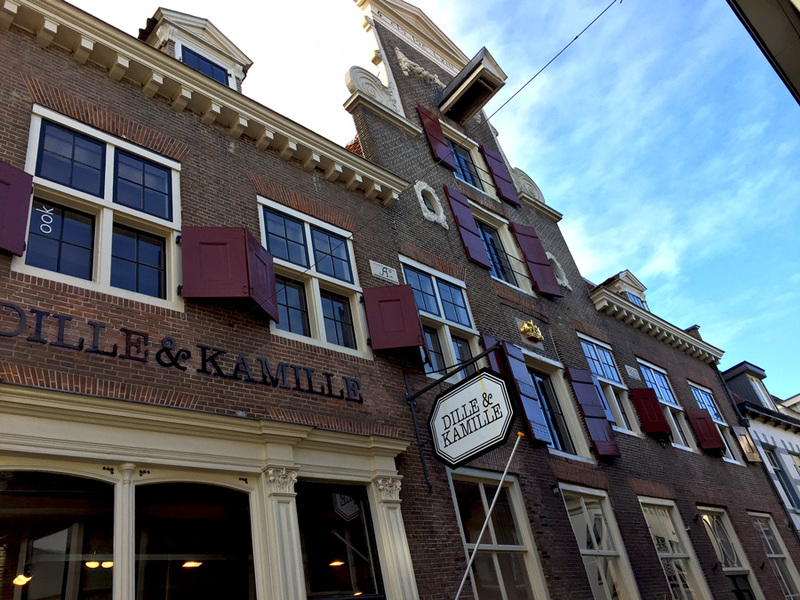 Dille & Kamille is a shop selling homeware and kitchen utensils. 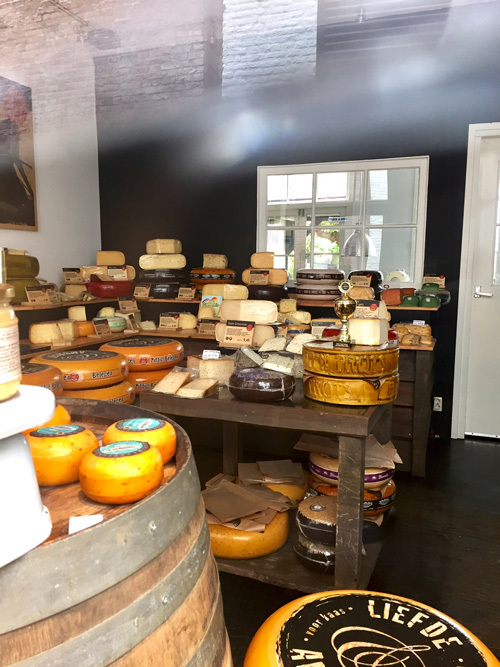 The shop in Amersfoort is situated in a gorgeous historical building. Don’t worry. There will always be cheese. 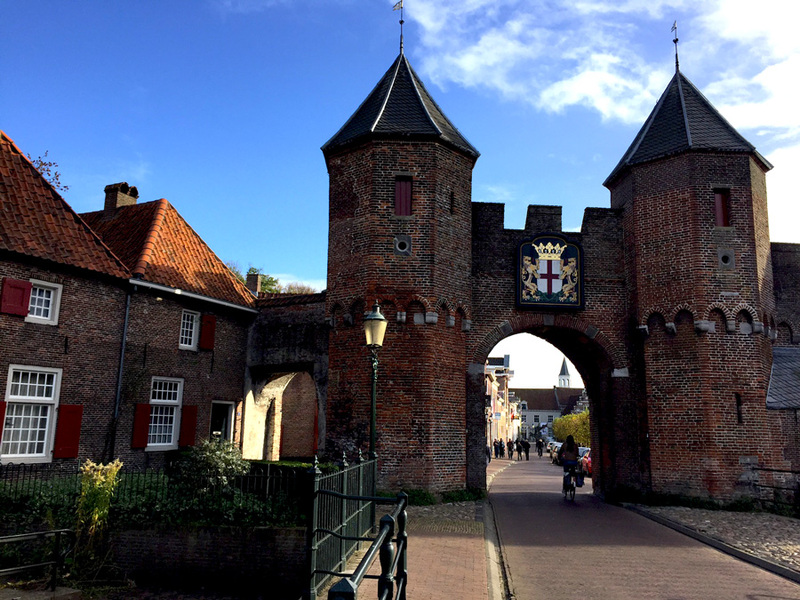 Some of the city gates, such as Koppelpoort, have survived and can now be seen during a visit. 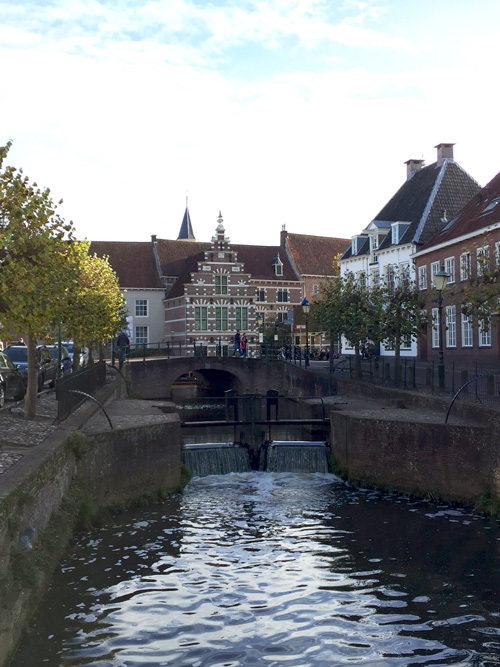 A Dutch town without water is pretty much non-existent, so the Eem river that runs through town is a looker too. 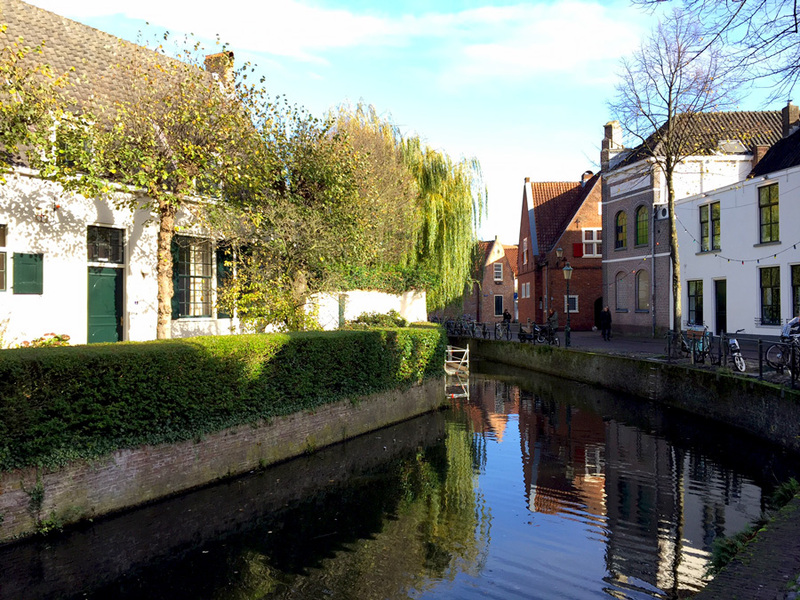 Boat trips on the canals can be enjoyed between April and October. 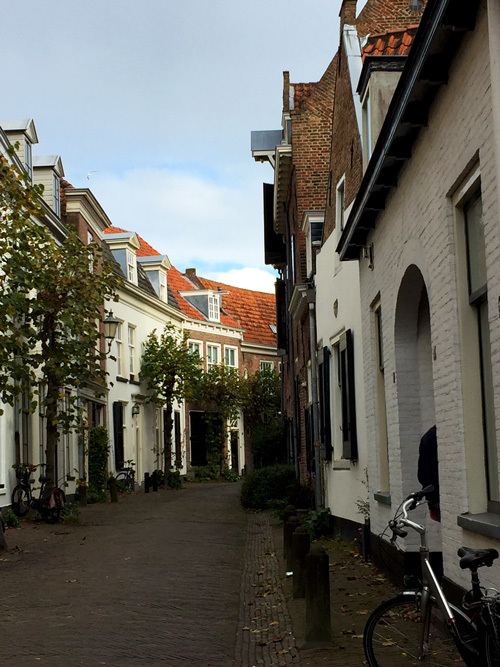 And don’t forget about the Muurhuizen (Wall houses), which are the houses surrounding the medieval centre. These were built from bricks that came from the original fortified wall that protected the town from intruders. 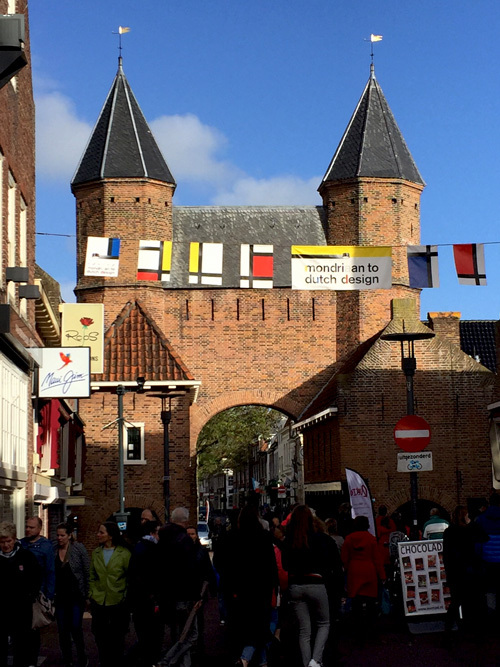 Amersfoort is also the town of Piet Mondriaan (Mondrian in English). The abstract painter was born in Amersfoort in 1872. The house he was born in has been turned into a museum and has a lot of his work on display. If you can’t make it to Amersfoort don’t worry. His work can be admired all around the world, including Tate Modern in London. Can you spot Mondriaan’s artwork? During this visit I had to work with my Iphone to create the photos you see in this post. It was a real challenge not being able to work with my Canon camera, but I do hope that you get at least an idea of how picturesque the town is. 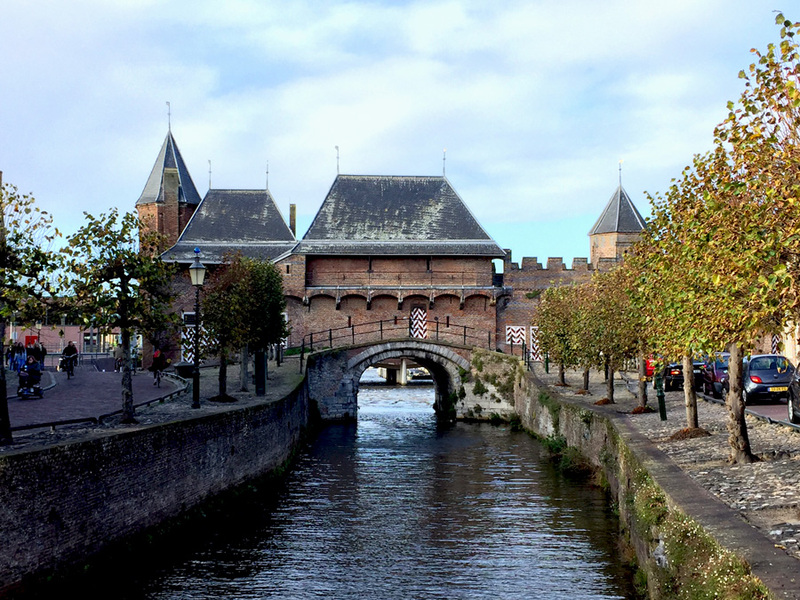 If you’ve some time to spend in the Netherlands it would be a shame to miss out on Amersfoort! 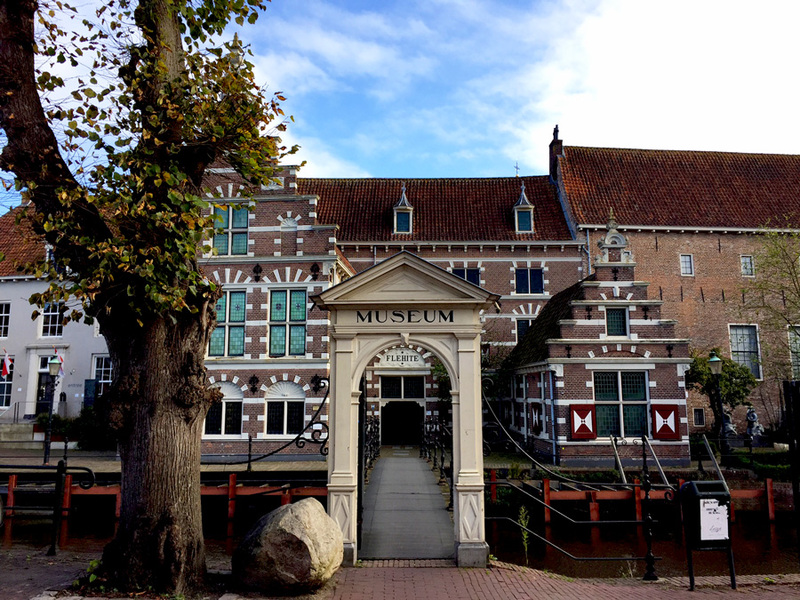 Flehite, the museum about the city.